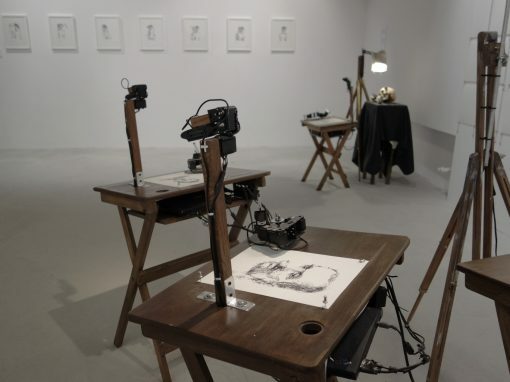 Patrick Tresset is a London based artist who develops and presents theatrical installations with robotic agents as actors which are evocations of humanness. 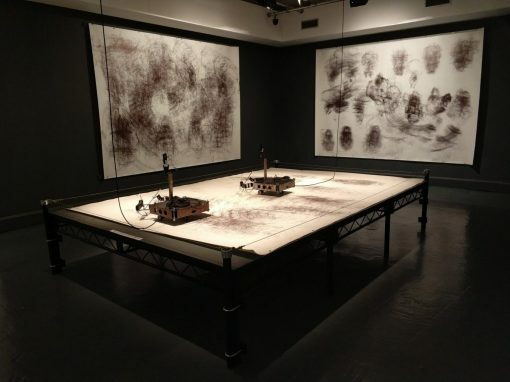 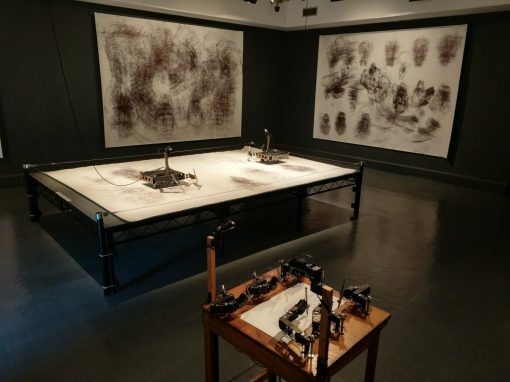 Tresset’s installations use computational systems that introduce artistic, expressive and obsessive aspects to robots’ behaviour. 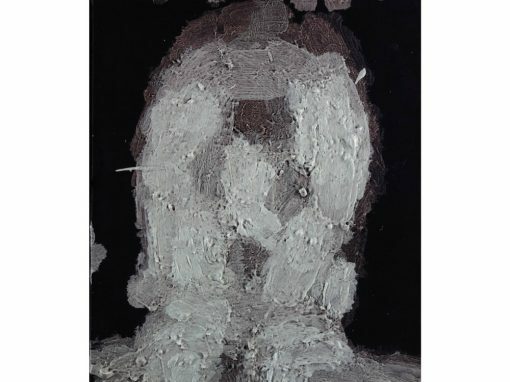 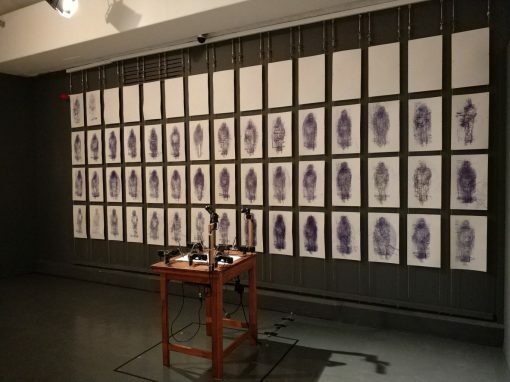 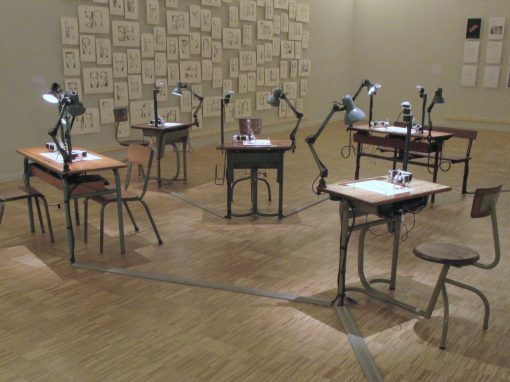 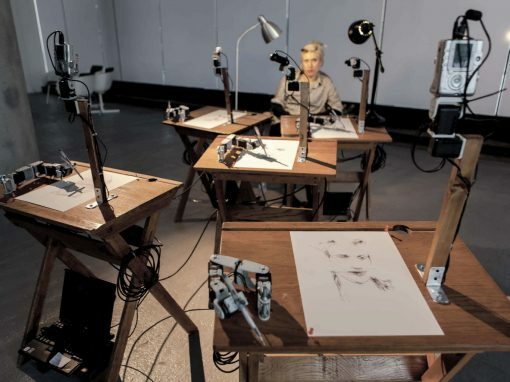 These systems are influenced by research into human behaviour, more specifically how artists make marks that depict, how humans perceive artworks and how humans relate to robots. 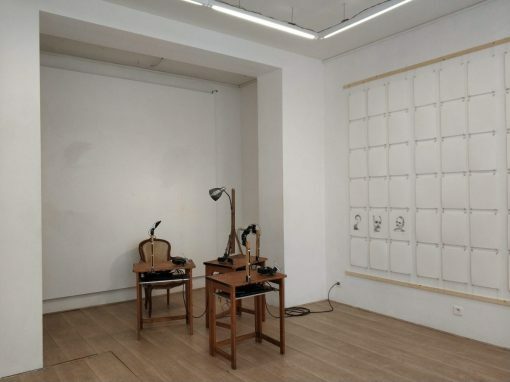 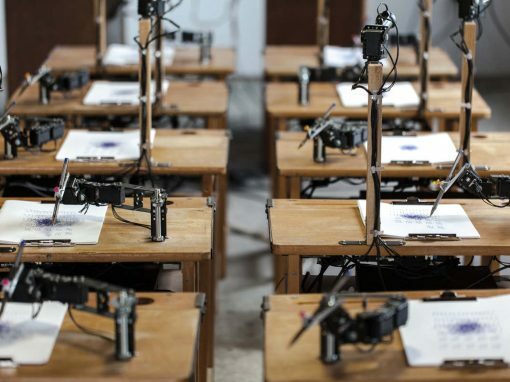 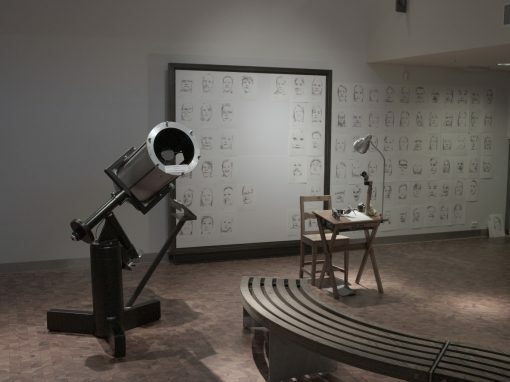 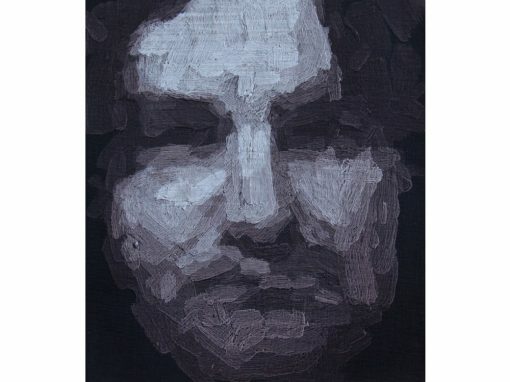 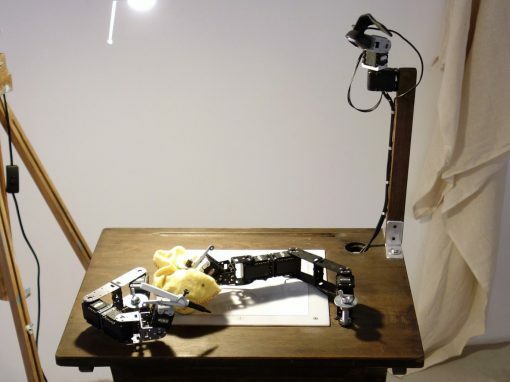 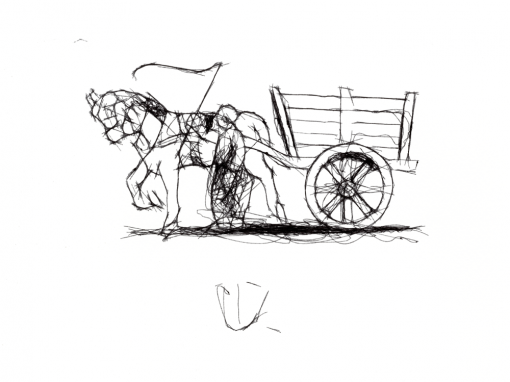 Tresset develops robots and autonomous computational systems to produce series of drawings, paintings and animations. 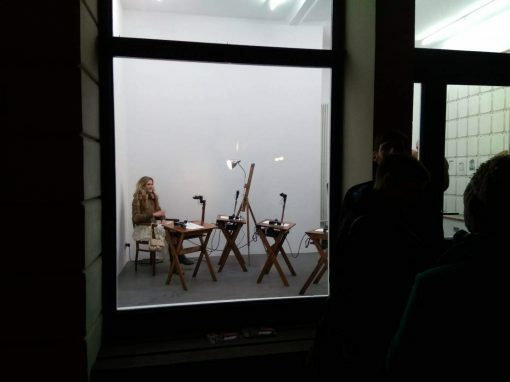 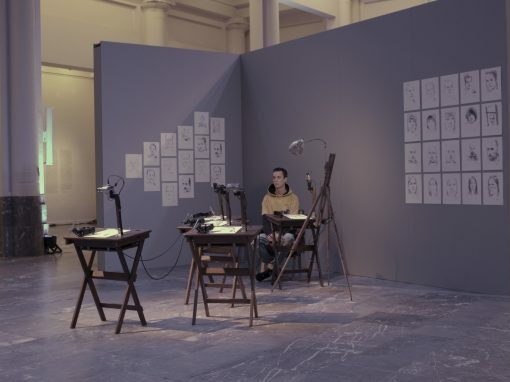 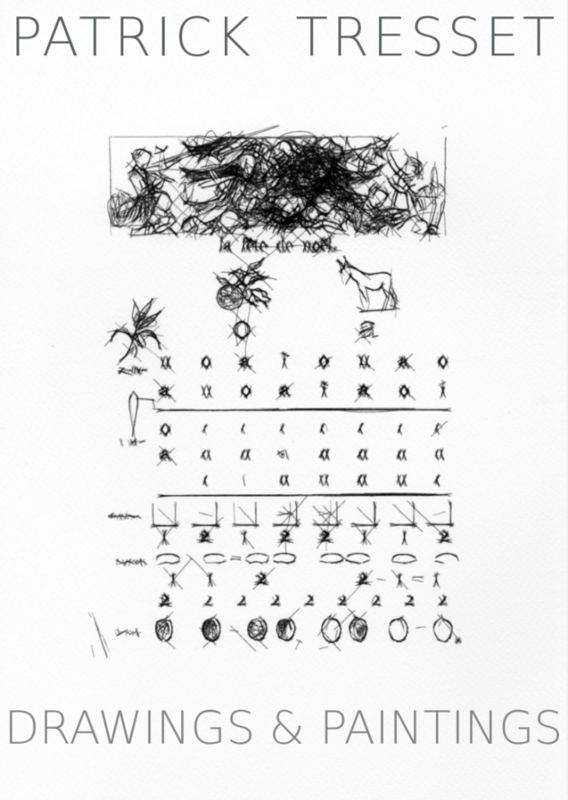 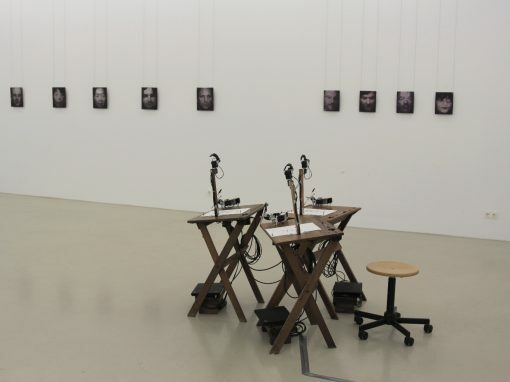 Tresset’s work has been exhibited in association with major museums and institutions such as The Pompidou Center, Museum of Israel, Victoria & Albert Museum (London), Museum of Modern and Contemporary Art (Seoul), BOZAR (Brussels), Prada Foundation (Milan) and at events such as Ars Electronica, Update_5, WRO2015, Merge festival. 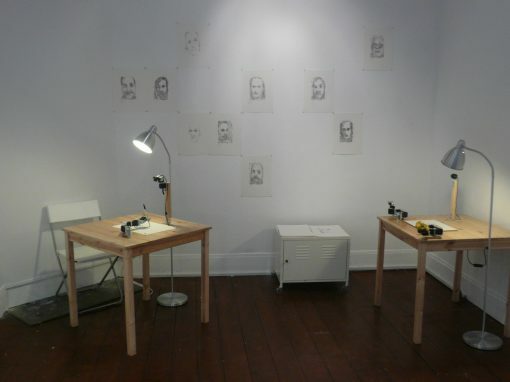 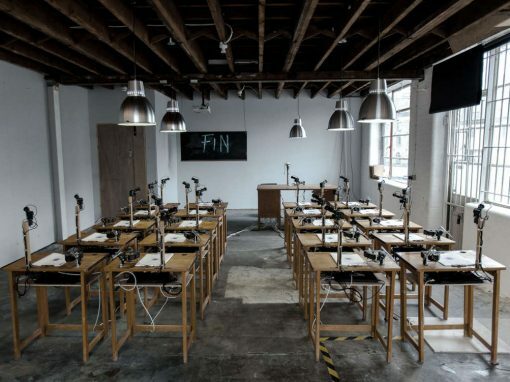 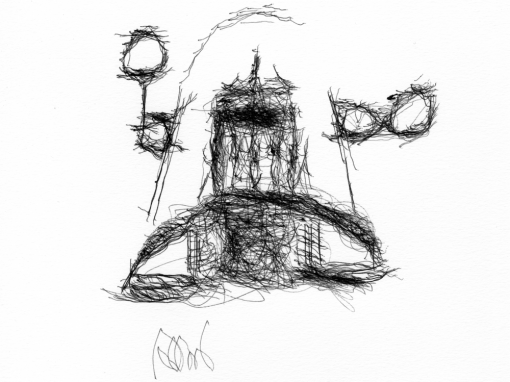 Whilst We Were Here We Made Some Drawings, Watermans Center, London, UK, 18 Oct.- 04 Jan.
Is it art – or science? 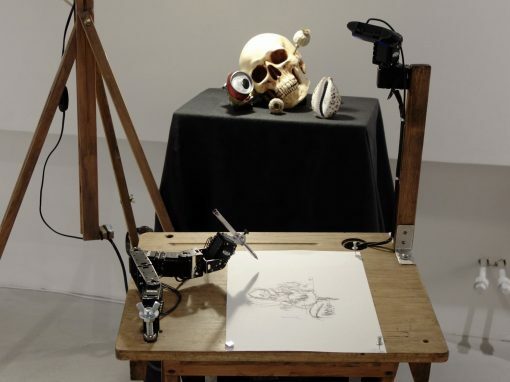 The robotic Rubens that redefines portraiture. 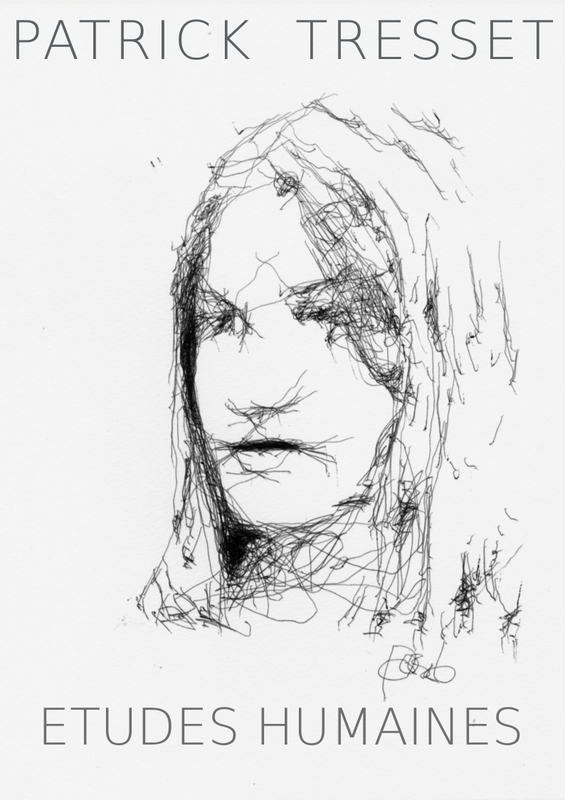 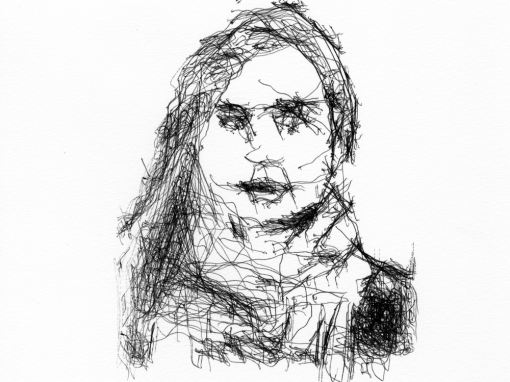 Robot artist can draw human likeness using ball-point pen. 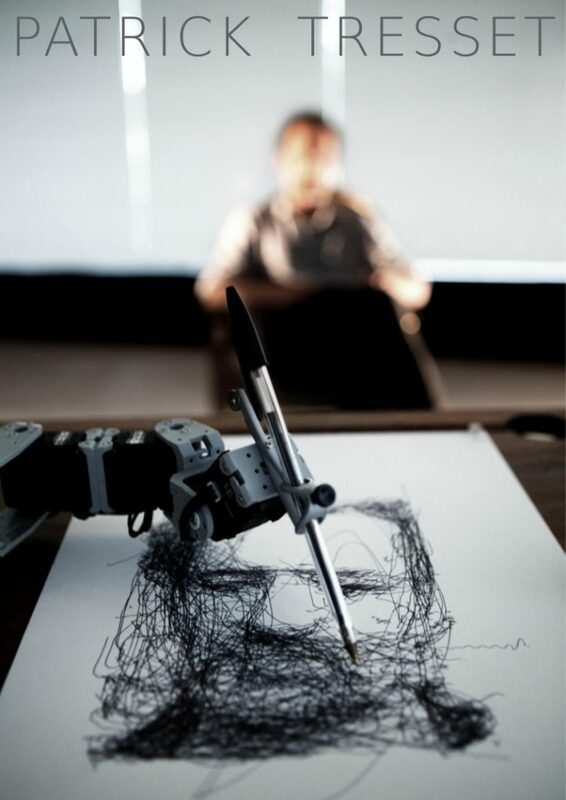 “Human Robot Interaction and Drawing”,Workshop on “Robot Feedback in Human-Robot Interaction”, part of RoMan, the 21st IEEE International Symposium on Robot and Human Interactive Communication, Paris, France, September 2012. 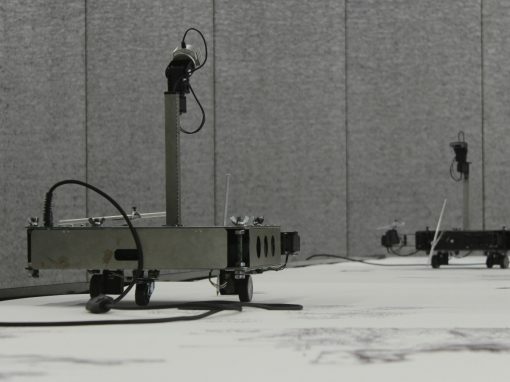 “Paul the Robot as a Naive Drawer”, Thinking through drawing: Practice into knowledge, A. Kantrowitz, A. 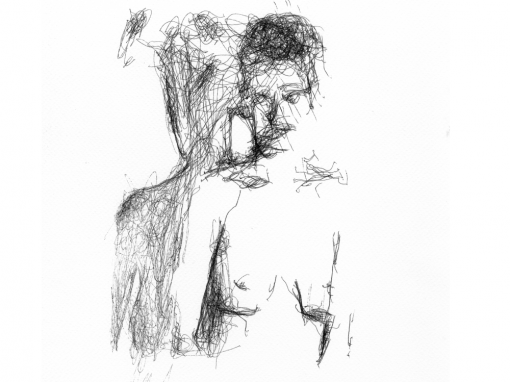 Brew and M. Fava, ed., pp. 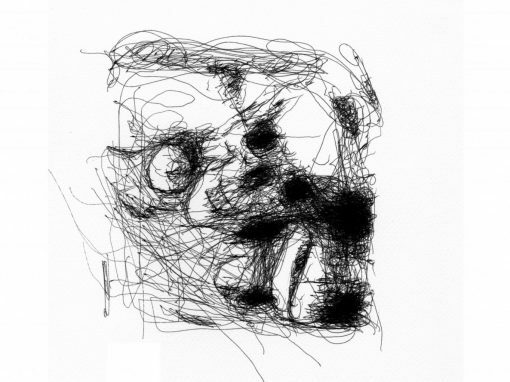 103-108, New York, NY, USA, Oct. 2011.